In today’s busy world, we must at times, stop and take a break. Therefore, nothing is better than a hike in the lap of nature. 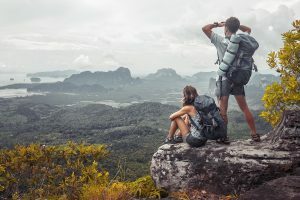 Moreover, one thing every hiker needs is a good backpack. Whether it be hiking in a forest reserve or go for a fun bike ride along a coastal highway, a good backpack is necessary. 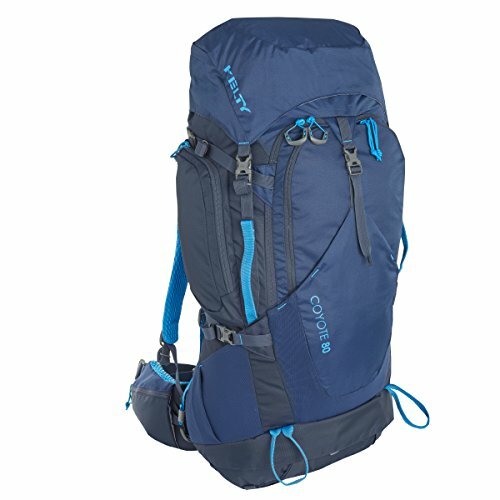 Here we look at some of the best daypacks for hiking that are available online. Gonex, a company, founded recently, in 2013, and they make products for outdoor enthusiasts. 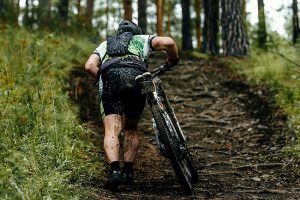 Their products range from backpacks and snow goggles to bike helmets and hammocks. This backpack is one which has gained much popularity in recent times. The feature where it folds into an inner compartment is a huge convenience. 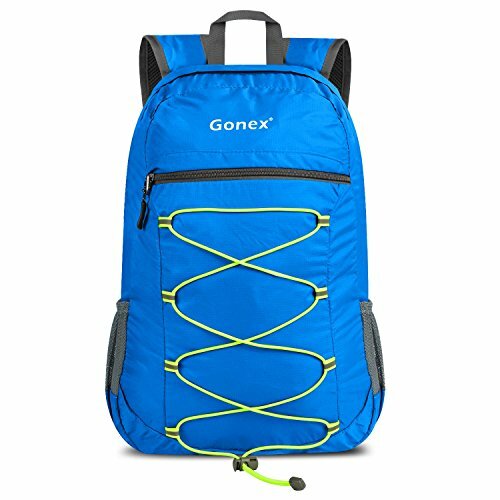 This travel daypack, colored blue, is one of Gonex’s most popular products. With 25L of space, it is spacious, although it seems small from the outside. It has a two-way SBS zipper and is abrasion free. Also, it has pockets for water bottles on both sides. It has the amazing ability to fold into a pocket, and hence it is perfect for taking it for packing into a suitcase for a trip, which will involve further treks. The material used to make this backpack is nylon fabric, which is water resistant, while its strength ensures that it is highly durable. It weighs only 0.54 pounds, which means it is very light. 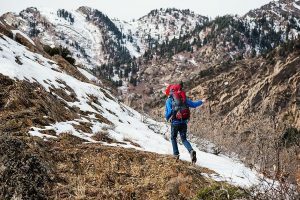 The Gonex Ultralight Daypack is ultra-durable and thus perfect for everyday use, and outdoor sports such as day hikes. Heavy packing could stretch the stitching on the edges, and so you need to be careful about how much you pack. Although it is water resistant, it is not waterproof; thus, at times water can seep through the pores, and the contents inside could get wet. It is lightweight, and its folding capability makes it very handy. Also, its overall durability makes it perfect for not only travels but also daily use. It looks good as well, especially in some of the other colors. The price makes it very affordable for students and those on a budget. Sunhiker made this backpack exclusively for hiking and cycling, and their designs are popular among students for being funky. Weighing 0.76 pounds, it is only slightly heavier than other backpacks in its category. The material from which the Sunhiker daypack is made is tear resistant. It has shoulder straps that are breathable, and bottle holders on both sides. It is available in a lot of color options, including funky shades of green and pink. Has three compartments inside, all divided by zippers. Has pads in case of strain on shoulders. It is not very spacious. It does not do well with heavy stuff like books. Large, sturdy and long-lasting, but not very suitable heavy packing. Otherwise, good for day-to-day use. 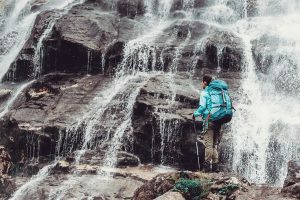 Mengar makes this water-resistant backpack which is good for day trips. Mengar backpacks are usually used for overnight camping trips. This knapsack is available in several different colors. 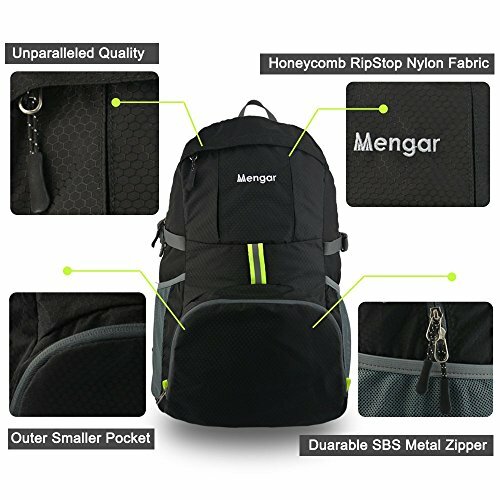 The Mengar backpack is very spacious and is made from RipStop nylon, making it lightweight yet ultra-durable. All the zippers are SBS metal zipper, therefore abrasion free. It also has breathable shoulder straps. The backpack is very roomy with a huge 35L capacity. Despite being 35L, it is relatively very light and weighs only 0.45 pounds. Inner compartments can carry tablets and laptops, outer pockets useful for maps and books. Also, Mengar provides a lifetime warranty. Nothing really, given the features. Fantastic backpack, not only for daily use but camping trips and long vacations as well. Highly recommended. Gingood, which is more known for their electronic products like their VR and Bluetooth headsets, has brought out this small backpack, which is apt for a day out. The Vintage Travel Backpack with its 19L capacity is indeed very small. It is made of canvas with leather trim and decorations. It has a compartment for a laptop. It also has adjustable shoulder straps, which can be adjusted to a length of 88 cm. The canvas makes it very durable and sturdy. It has plenty of pockets (3 on the outside and 5 inside), so it can fit a lot of items. Top handle makes it easy to pick up, so you can also carry it like a briefcase. The smaller pockets make it difficult to reach totally inside and remove individual items. Not water-resistant and the canvas lets water seep in. Suitable for students for going to school and college, but not ideal for hiking or camping trips, since it is not very spacious and not water resistant. 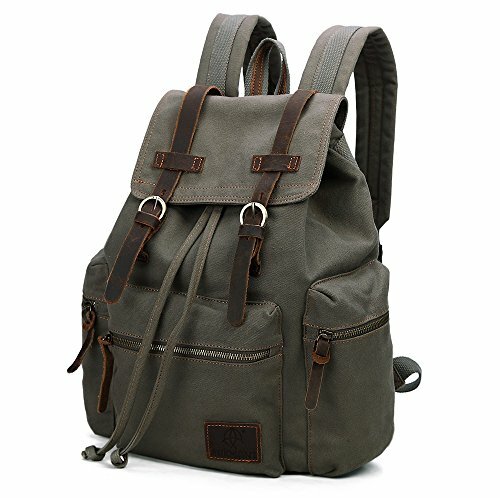 New Outlander, who also make accessories, brings this backpack, which comes in various colors. 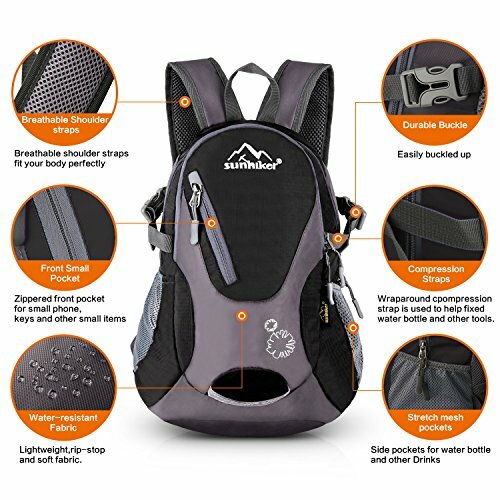 This daypack is available is ideal for hiking, traveling and for everyday use. 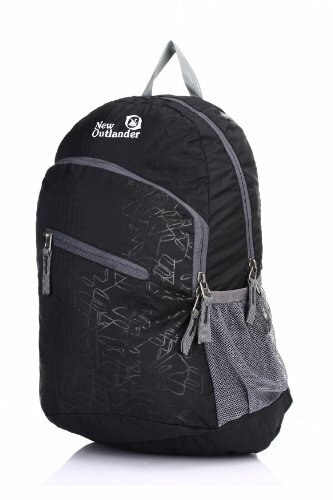 The Outlander daypack is available in two sizes, and both are foldable. The 20L backpack weighs 0.46 pounds, while the 33L one weighs 0.5 pounds. It has breathable straps and an SBS metal zipper, which is abrasion free. An internal security pocket is present. Both sizes of backpacks are spacious and give much room for packing. Given their sizes, they are extremely light and easy to carry. Folds into a pocket and thus can be packed into other bags. The stress points at the edges along the zippers have been reinforced. Not much really, other than the fact that it is not made of waterproof material. The Outlander hiking daypack is a great backpack, useful for almost every purpose, from hiking to camping. Also, this backpack comes with a lifetime warranty, which offers an exchange. 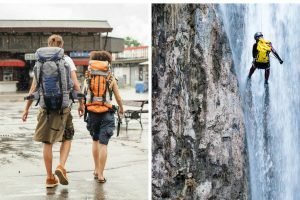 Reviews of the Best Hiking Backpacks for Kids HIKPRO Review – The Most Comfortable Hiking Backpack The Best 60 Liter Backpack – Rightfully Size for Outdoor Adventures! 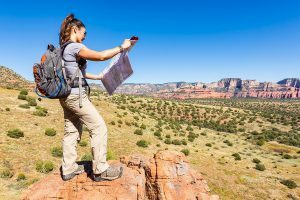 Outlander Travel Hiking Daypack Review – Must Have Backpack!